A beautiful Statement piece by Ziio. 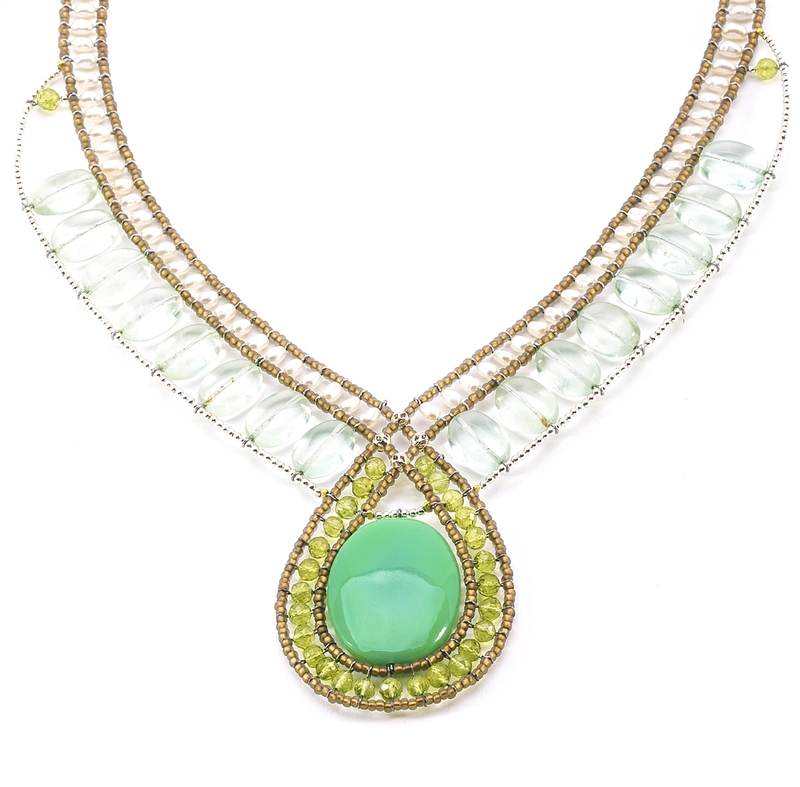 This beaded Pendant Necklace has a polished Apple Green Onyx Gemstone at the center, accented with Green Peridot & Fluorite Gemstones and White Fresh Water Pearls. The soft hues of the colors make this a piece that is noticeable yet versatile. Hand crafted in Italy. Sterling Silver Button Closure, adjustable in length 18" to 16". Width 1 1/4", Front Drop 2 3/4"